Many anglers hang up their waders and fly rods when the weather starts to take a turn for the colder spells of Winter. I won’t lie, I’ve had times when that cold, frigid air of Winter makes me shudder as I’m wrapped up in a warm blanket in front of the fire. It’s cold. But that doesn’t mean the fish don’t still eat. 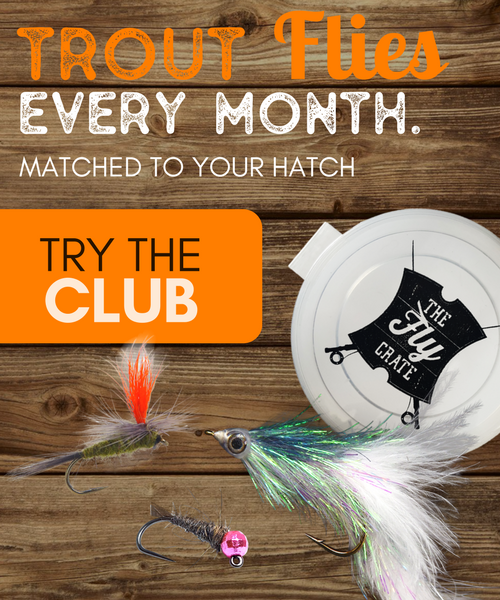 All you need to know are a few simple Winter Fly Fishing Tips to get you out and catching more fish in those Winter months. Weight your flies and get them down deep in the cold Winter months. Fish in Winter are sluggish. They won’t move much to catch food as it expends too much energy. Therefore, you need to match your fishing style to how the fish are acting, which is slow. Set up your indicator or use a sighter and fish with a high-stick method to reduce drag from your line and try to achieve a dead drift. This is critical in the cold Winter months because a trout won’t chase down food, or your fly, in cold water. It’s just not worth it to them. Along with the last tip about fishing slow and deep, fish will tend to pod together in deeper, slower water. What that means is look for these deeper and slower, but still moving, areas in the river for trout. Once you connect with a fish in one of these areas, try not to cause a ruckus and disturb the area too much. There is a good chance that there are more fish waiting there. Continue fishing this area thoroughly. If you find yourself not hooking into any more fish, move on to the next area. One tip to go along with this is to try looking for water that is over three feet deep or deeper areas of the river that are near groundwater springs with warmer water flowing into the main current. Aside from the obvious cold aspect to Winter mornings, most fish in rivers will tend to become more active later in the day. Along with the next Winter Fly Fishing Tip, you’ll find most surface activity later in the day, around mid-afternoon, on warmer sunny days. You will also notice more activity on those gray, snowy days as well. As the day moves on, the temperatures will increase and with that the activity levels of the fish. So hit that snooze button and stay warm just a little longer. With that absence of most hatches in the Winter months, you may be thinking it’s crazy to look for rising fish. That’s not the case though. Trout will occasionally rise during Winter, and it will almost always be to small midges or other olive mayflies. Try using a small midge emerger or small olive mayfly emerger to target these fish. The other good thing about this, it will help you relive those warm Summer months chasing rising trout all day long. Try keeping a eye on the water when you’re out and you may just notice these subtle rises next time. Winter usually means that you aren’t going to be facing much murky water. That also means that the water is generally going to be very clear. This will allow the fish to see your leader/tippet much easier and therefore necessitate using lighter tippets. This also goes along with the size of the flies you’ll generally be using in the Winter months. 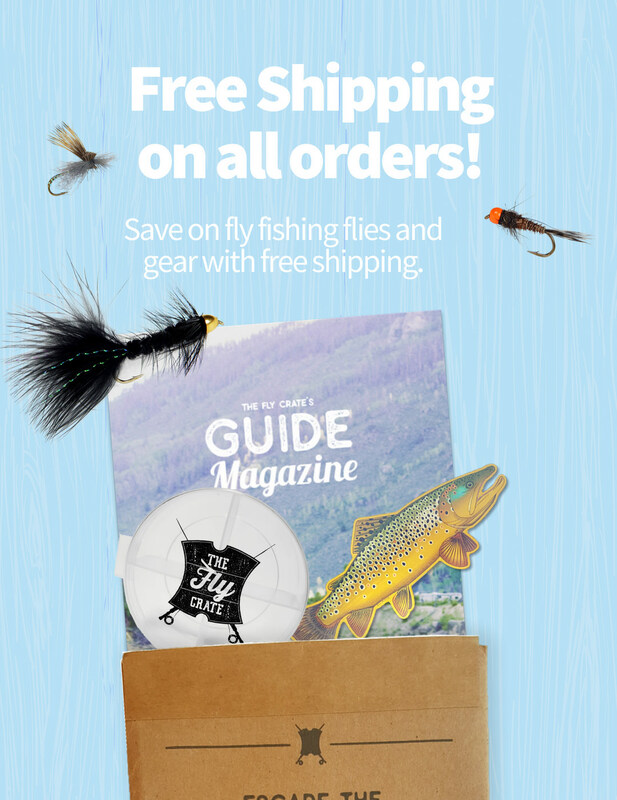 Most flies will be relatively small and so you’re going to need to step your tippet size down to accommodate this. Try going with a 6X tippet and see where that will take you. There are my Top 5 Winter Fly Fishing Tips to help get you out on the water in the cold Winter months. Don’t get scared away and think the trout won’t even be active. That’s a common misconception and one that will generally yield you the entire river to yourself. That’s always a good thing. 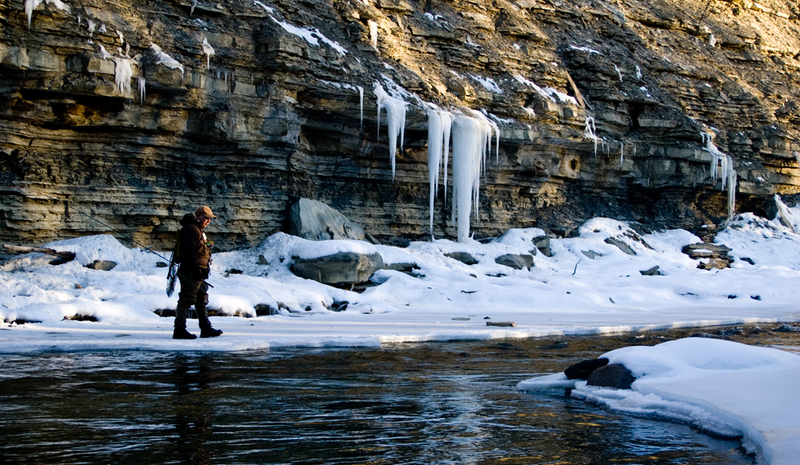 Just bundle up, stay warm, and keep these Winter Fly Fishing Tips in mind when you head out next.